Can a Couple Divorce in Florida Without Being Separated? Is Being Separated a Requirement for a Divorce in Florida? Home > Divorce Law News > Is Being Separated a Requirement for a Divorce in Florida? No, being separated is not a requirement for a divorce in the state of Florida. In fact, in Florida, as in five other states, Texas, Mississippi, Deleware, Pennsylvania, and Georgia,legal separation is not recognized.A couple can choose to live apart, in other words, “separate” but the Florida courts do not have a way to make this legal. However, particularly if minor children (children under 18 years of age or special needs adults) are involved the courts, usually with the help of mediation, can adjudicate issues including child support, child custody, visitation, and division of property. When determining child support payments, each parent must provide a complete and detailed financial disclosure. Obtaining alimony, except in extreme cases, is not possible during separation. 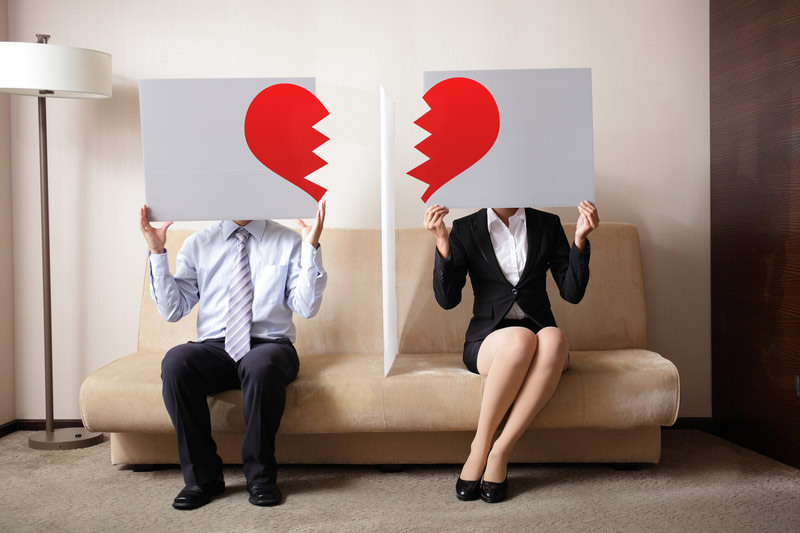 It is interesting to note that while Florida does not recognize separation by law, a couple can, on the grounds of voluntary separation, cruelty or dissertation obtain what is called a “limited divorce” which is very similar to a legal separation in other states. Having this status makes it easier to obtain court help for determining where and with whom minor children will live and the amount of child support. Separated couples can continue to file taxes as a married couple which is generally much better than filing single. Should there be a divorce, the amount of alimony is often regulated by the number of years a couple has been married. While Florida does not recognize separation legally, there are still benefits to consulting with a Family Law attorney in regards to benefits and possible pitfalls. For example, many couples don’t realize that in Florida one of the parties must have lived as a Florida resident for the six months prior to the date of filing in order to obtain a Florida divorce. If both parties move out of state, one must return for the legal residency requirement. Another way an attorney can help is to advise and help draw up a court acceptable post marital agreement, which could make the separation much smoother and be useful should divorce become the final outcome. If you live in the Florida counties of West Palm Beach, or Martin, or St. Lucie, or Miami-Dade, or Broward, or Hillsborough, or Orange, Family Law Attorney Grant Gisondo is experienced in helping and representing clients work through their marital concerns, including separation, post-marital agreements, minor child issues, and when necessary, divorce. He offers a free, initial, in-office consultation where he will meet with you personally to answer questions and share how he can help. You can call his office in Palm Beach Gardens at (561) 530-4568 for an appointment. Office hours are Monday through Friday from 9:00 AM to 5:00 PM and, for new clients, on Saturday from 8:30 AM to 1:00 PM.